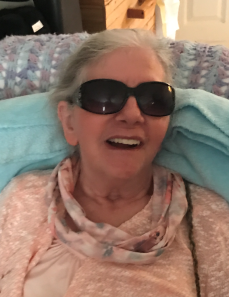 Dorothy Mae Tacker Wright, 77, of Bessemer City, died Sunday, November 25, 2018 at Peak Resources in Gastonia. She was born in Poinsett, Arkansas, daughter of the late Lena M. Evans and Alan A. Tacker. In addition to her parents, she was preceded in death by a son Arlin Lee Wright; a brother Aruthur Tacker; a sister Paulette Tacker; and a son-in-law Brian Cole, Sr. Those left to cherish her memory include her husband David Wright; her children Howard Wright and his wife Helen Wright of Michigan, Rose Graham and her husband Joe of Arkansas, Teresa Knighten and her husband Jeff of Gastonia, and Becky Bridges and her husband Dennis of Kings Mountain; twelve grandchildren; and twenty two great-grandchildren. A service to celebrate her life will be held 12:30 p.m. Friday, November 30, 2018 in the Woodlawn Chapel of Woodlawn Funeral Home, Mount Holly. The family will greet guests for one hour prior to the service at the funeral home. Interment will follow the service at Westview Gardens Cemetery, Bessemer City. Online condolences may be left at www.woodlawnfuneral.org.